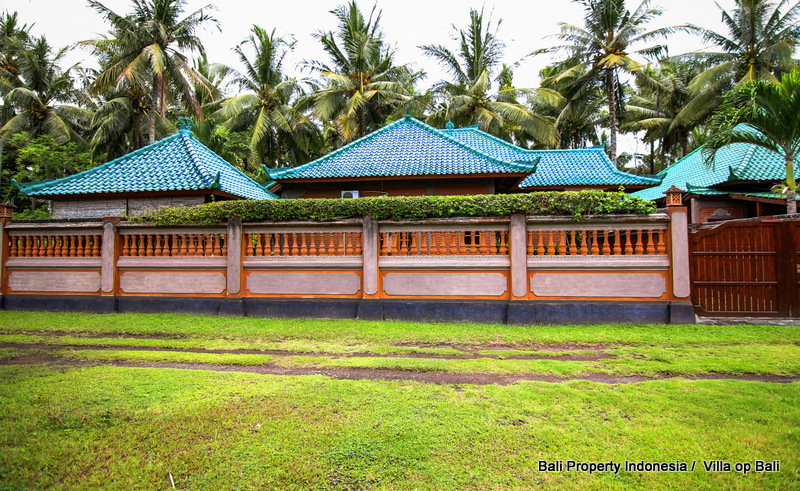 Balinese style 2 bedroom villa for sale located in West Bali - Bali Property for sale by owner. 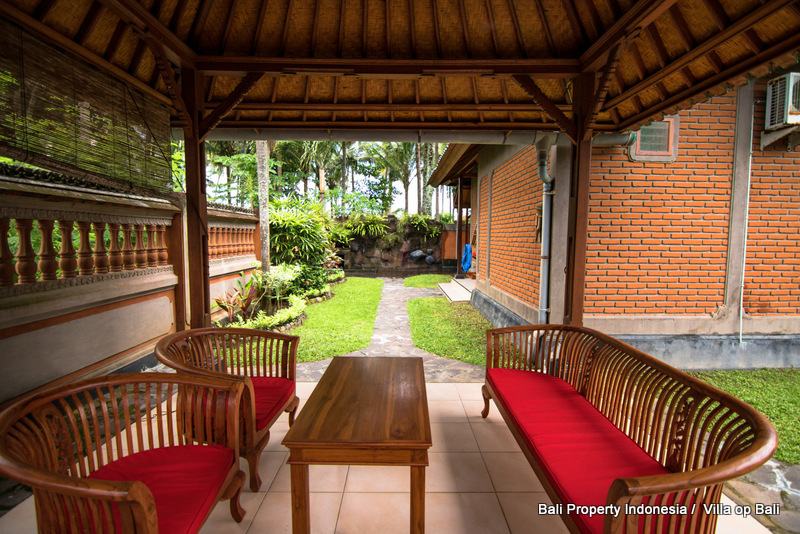 Balinese style 2 bedroom villa located at just 100 meters from the ocean with easy beach access. This villa is built in Balinese style and is located in the west of Bali near Negara. 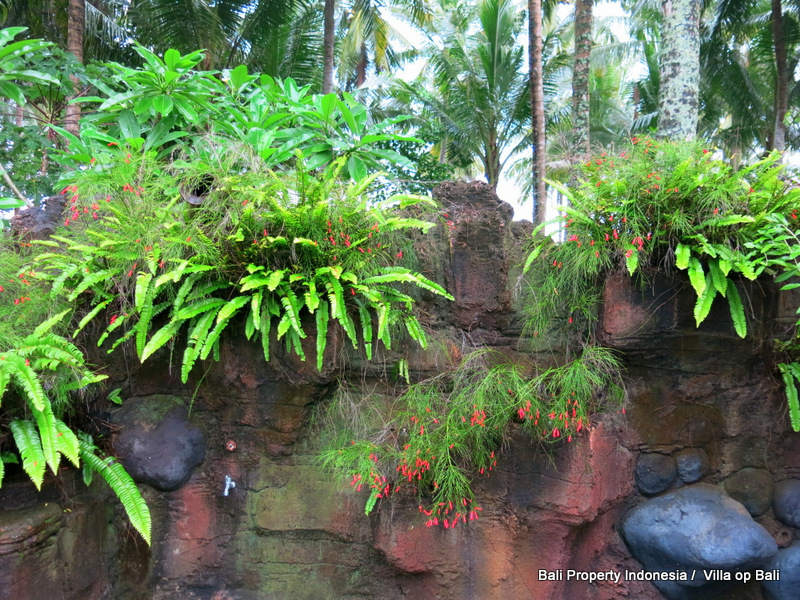 This still pure part of Bali is not nearly as touristy as the south with Kuta and Sanur and the middle with Ubud. 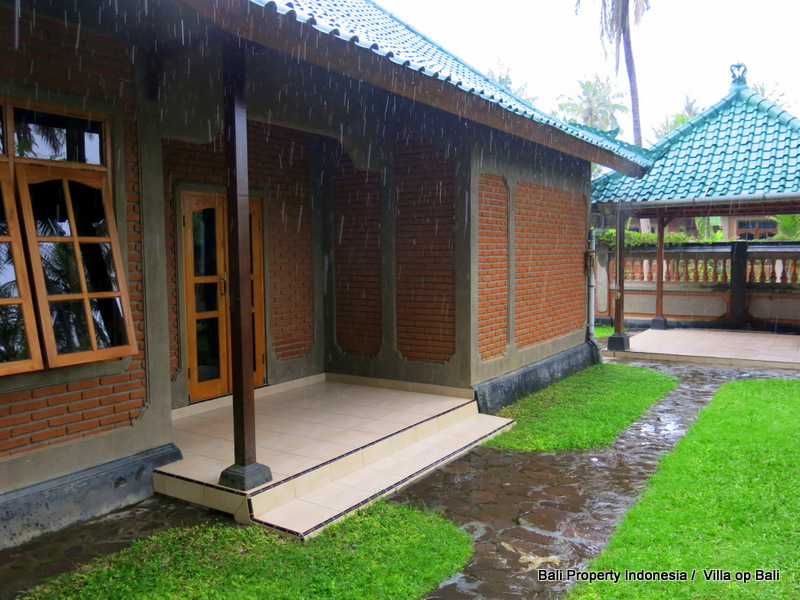 It is a wonderful location at 100 meters from the beautiful wide sandy beach. 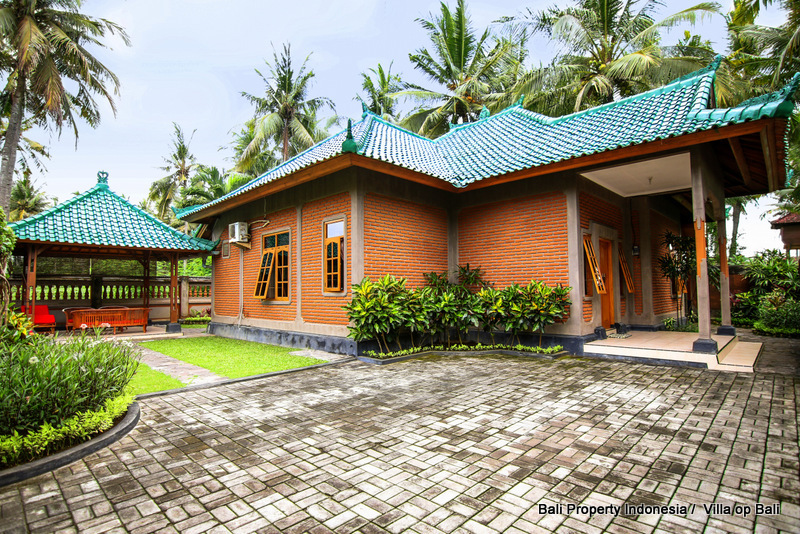 In the village Yehkuning with its friendly inhabitants, the atmosphere of pure Balinese life is clearly visible. It is a pleasure to see fishermen returning from their nightly catch under the bright orange colored rising sun in the early morning during a walk on the beach. 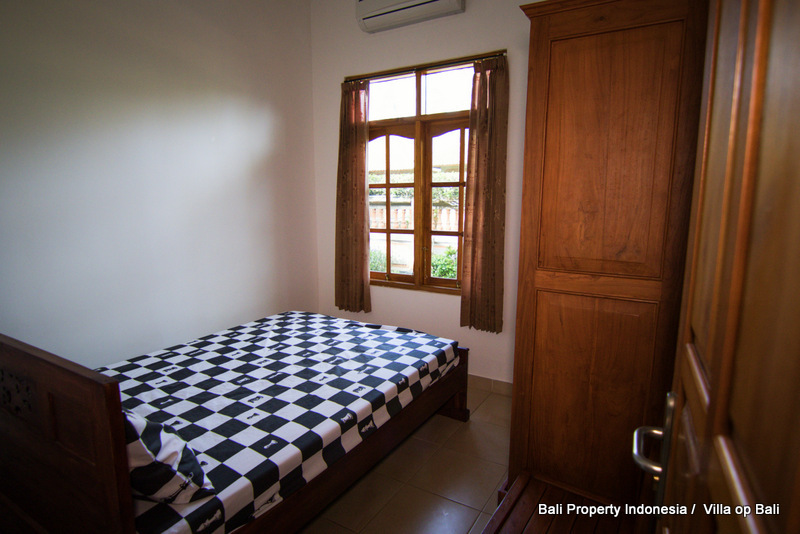 The plot of 315 m2 with private parking is completely fenced and has a double wooden entrance gate. 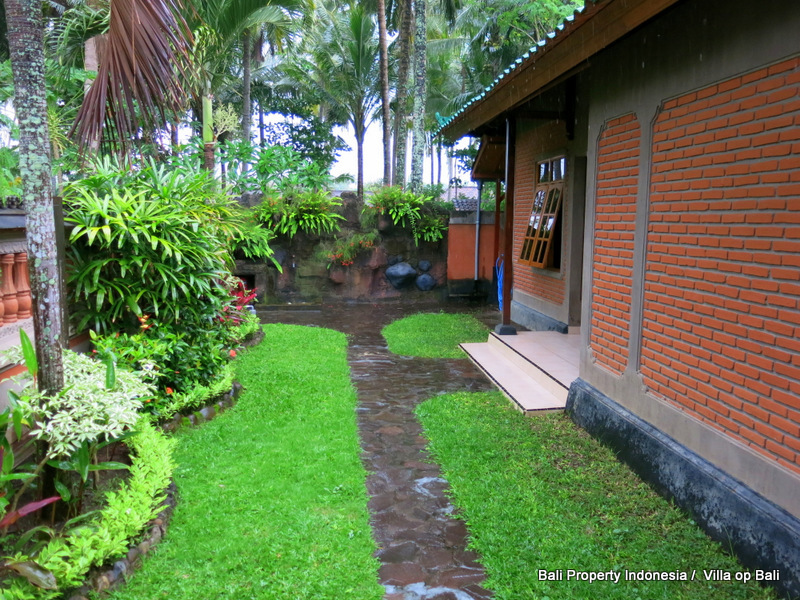 The beach is accessible by a private entrance gate. 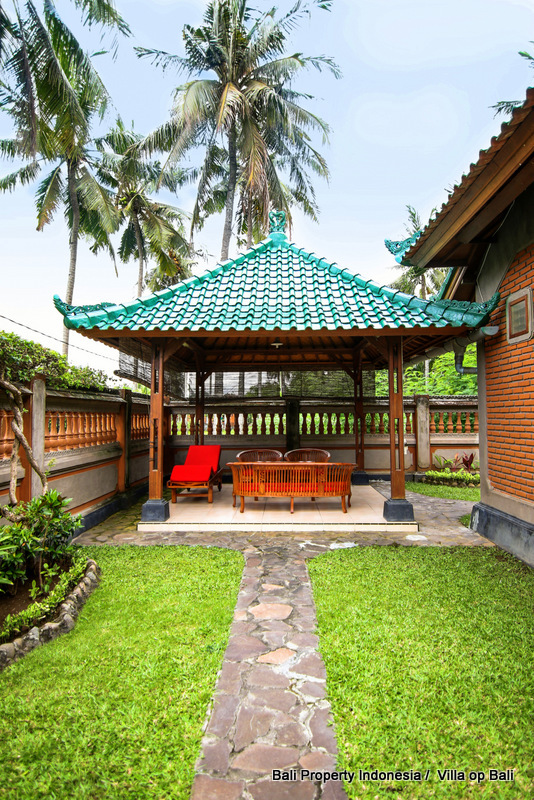 In the garden with beautiful plants and palm trees is a gazebo of 16 m2 with beautiful wooden furniture.The inside of the tile roof is covered with woven bamboo. 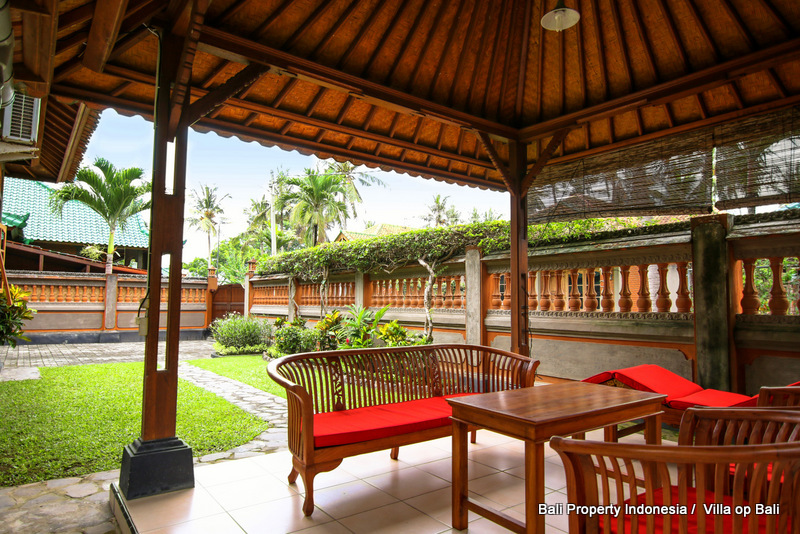 The gazebo can be used as a living room because life in the tropics is largely outside. 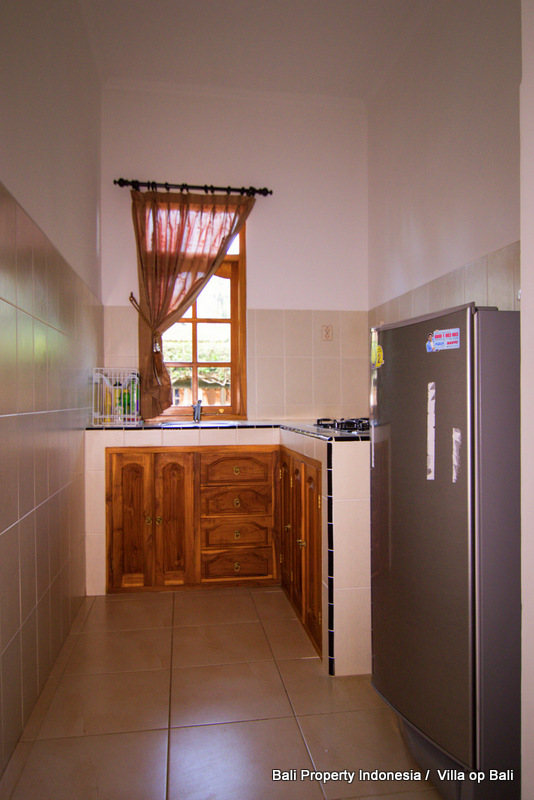 The fixed price of this property is includes all furniture and white goods. 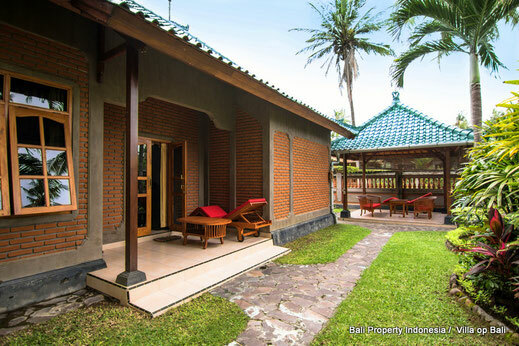 The villa is located in a park with 14 houses on the west coast of Bali in the small village of Yehkuning between the breathtaking rice fields. From the airport the travel time is 3 hours. 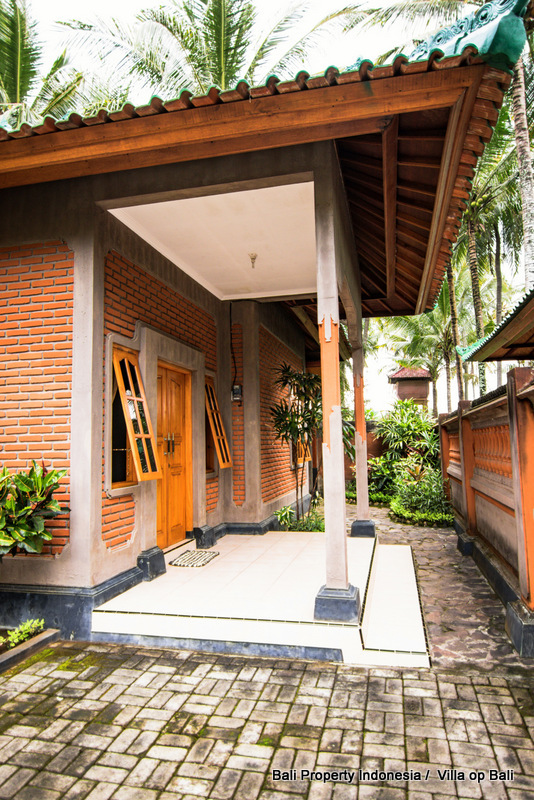 Java can be reached by ferry from Gilimanuk to Banyuwangi in about one and a half hours. The travel time depends on the often busy traffic. At 5 kilometers from the villa lies the village of Perancak with its many beautifully painted fishing boats. 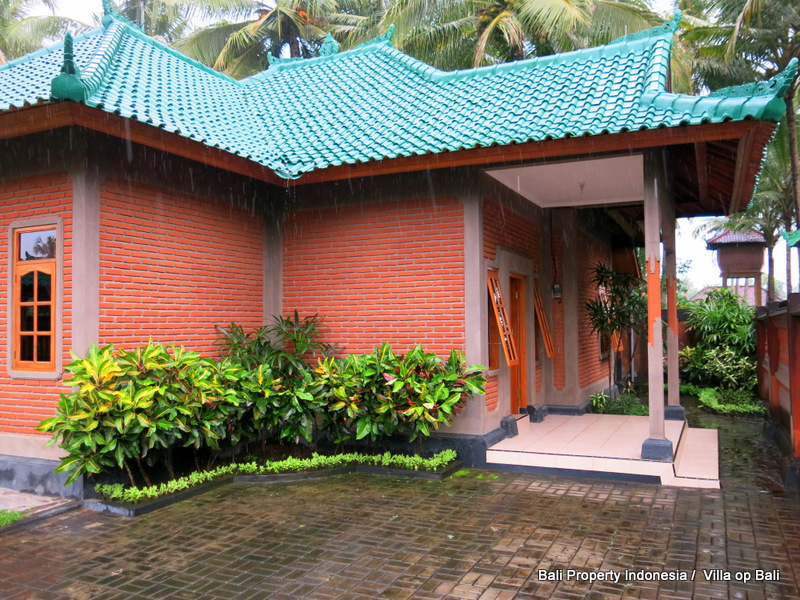 Also here is the turtle shelter Kurma Ashi. Between April and September the sea turtles come here at night on the beach to lay their eggs that are being safely reburied by volunteers from the center. After 50 days the eggs come out and the young turtles are released into the sea. 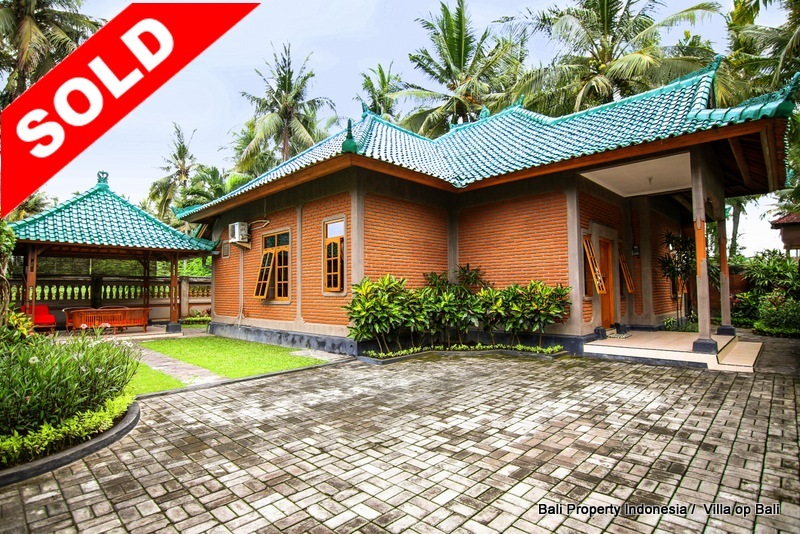 For shopping and other purchases, the provincial town Negara, by car or motorcycle through the beautiful rice fields, reachable in 10 minutes. 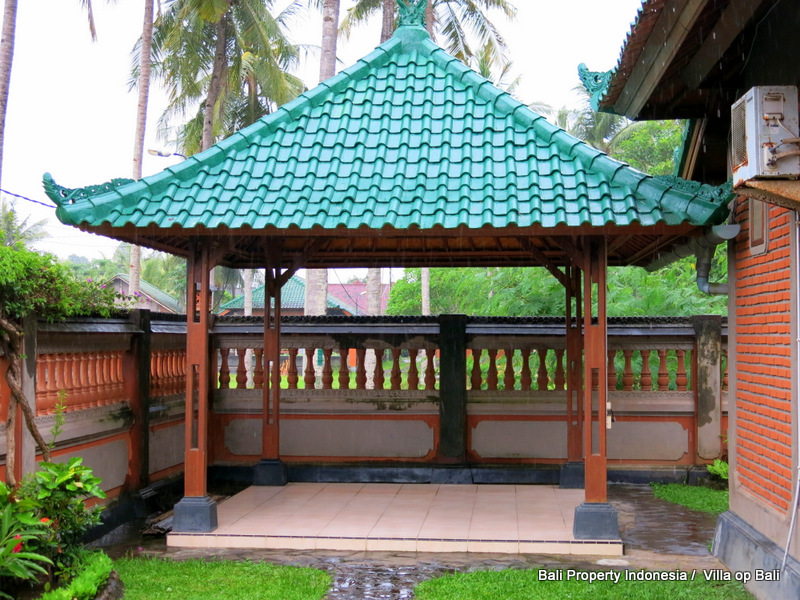 In addition to two large supermarkets there are several shops and warungs (eateries) where delicious Balinese and Javanese dishes are available. 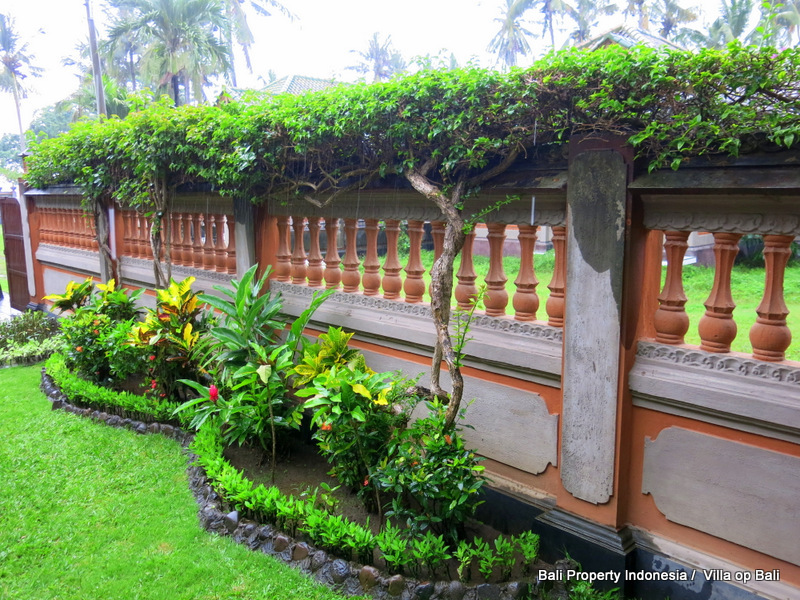 In Negara is also the daily atmospheric and colorful daily market. 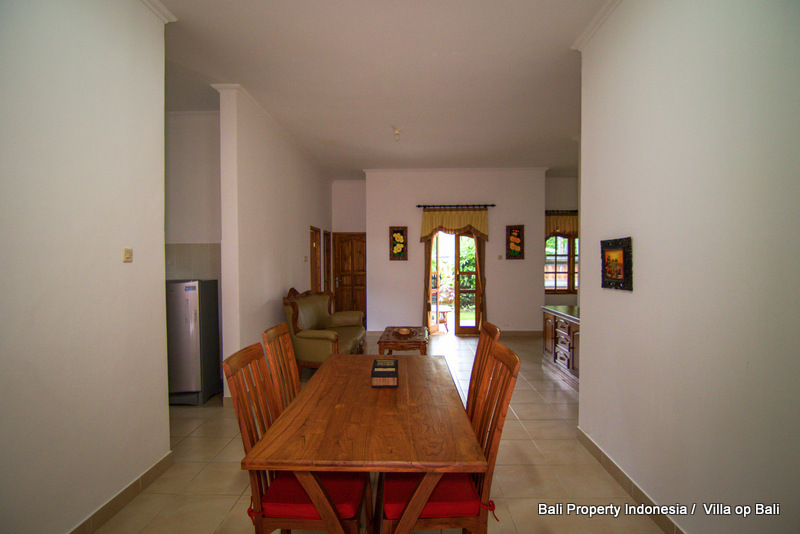 - A walled location 100 meters from the wide sandy beach. 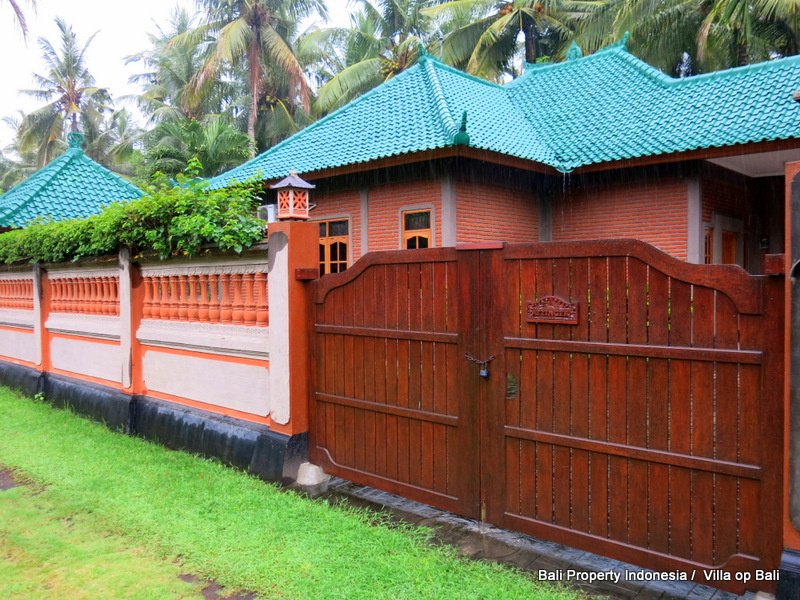 - A double hardwood gate to a paved parking lot. 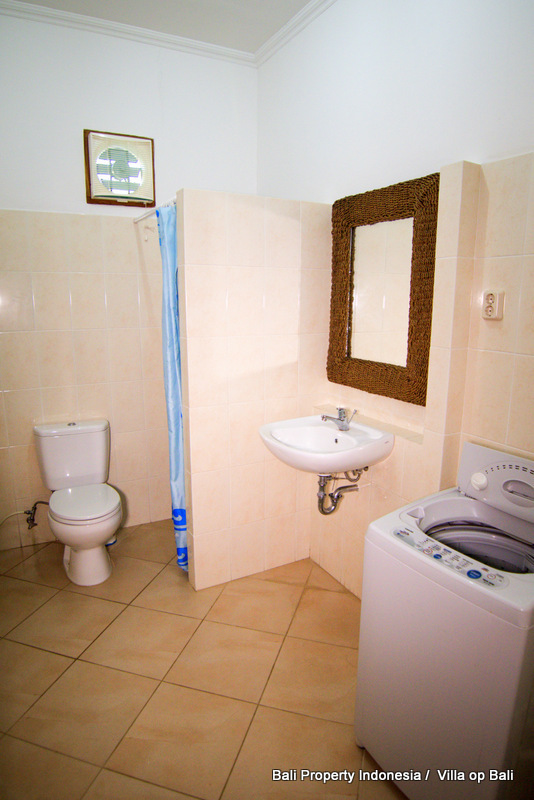 - Ceramic tiles throughout the house. 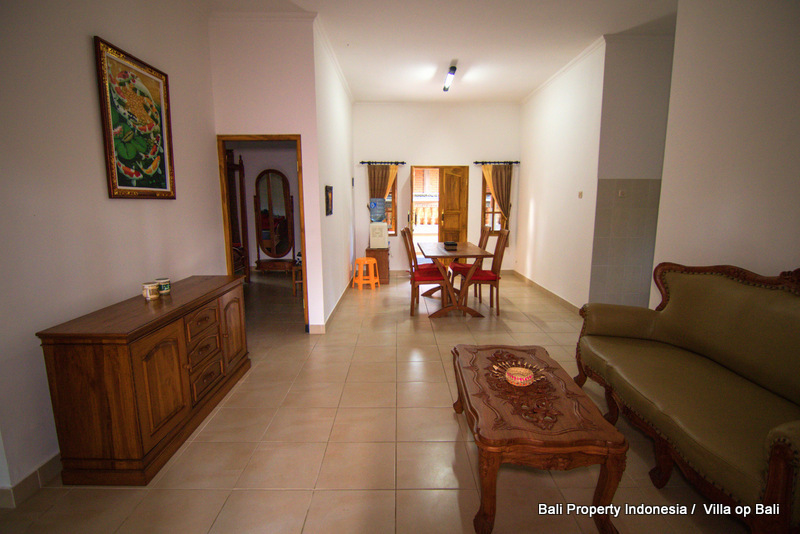 - Two bedrooms, spacious living room and kitchen. 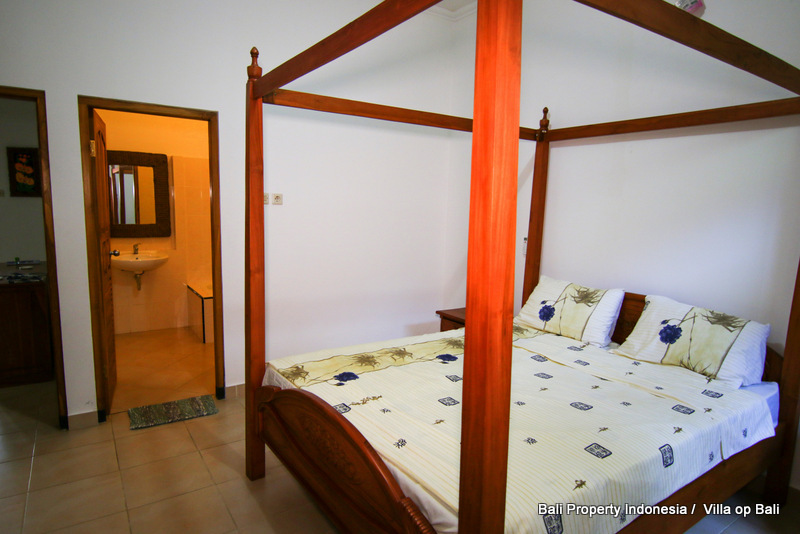 - Air conditioning in bedrooms and living room. 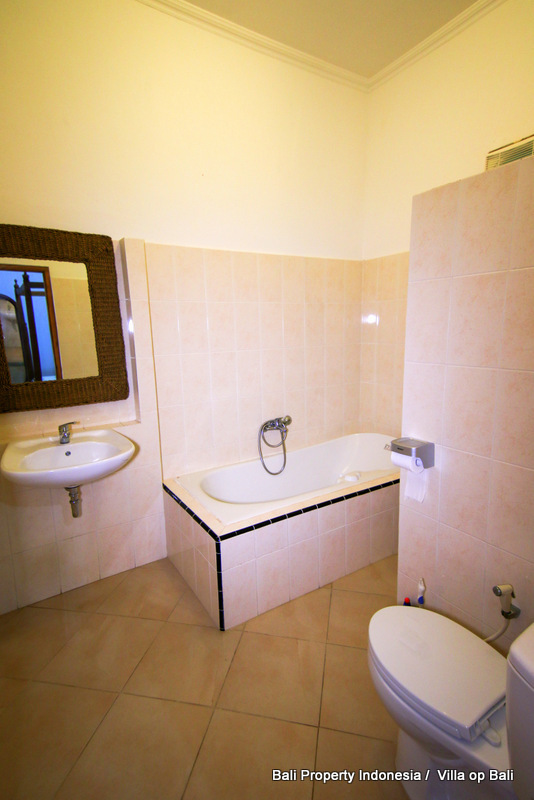 - Two luxurious large bathrooms with bath, walk-in shower, sink and western toilet. 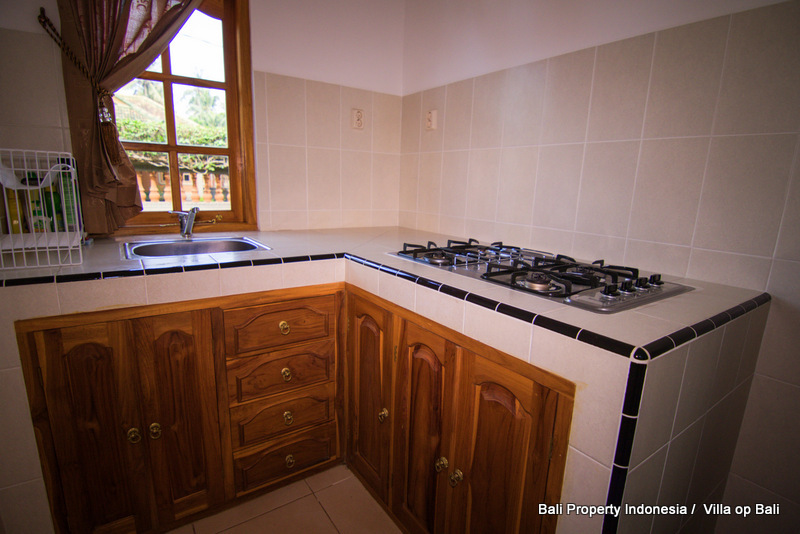 - Open kitchen with four-burner gas cooker, fridge and stainless steel sink with mixer tap. 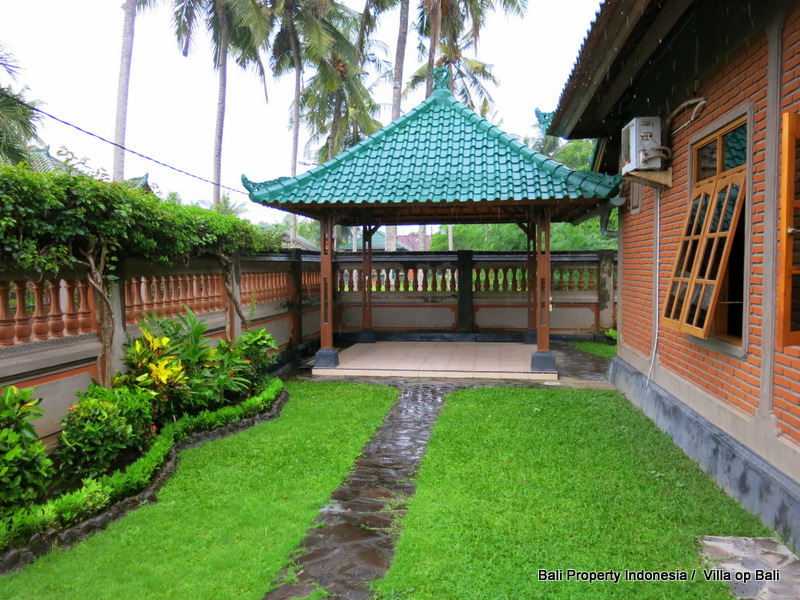 - Three covered terraces including a gazebo (16 m2), accessible via the garden with a view of the beautiful planting. 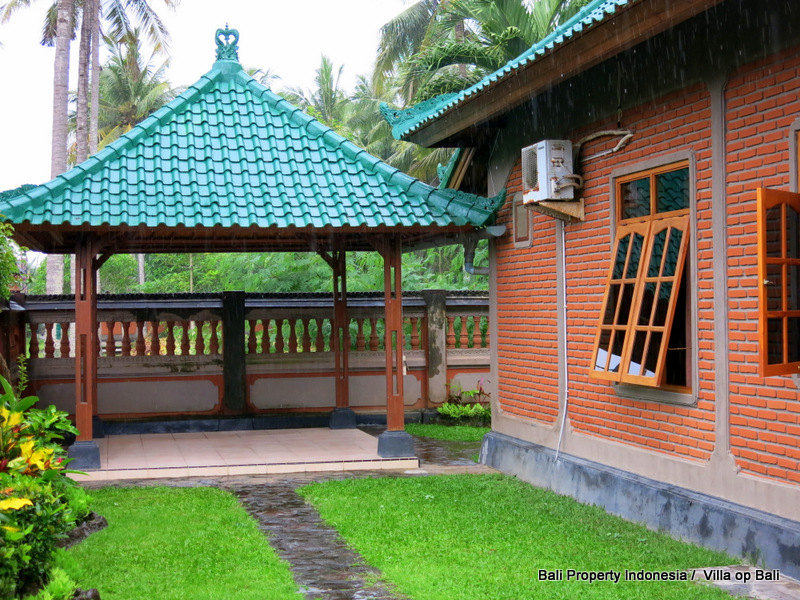 - own drilled water well. 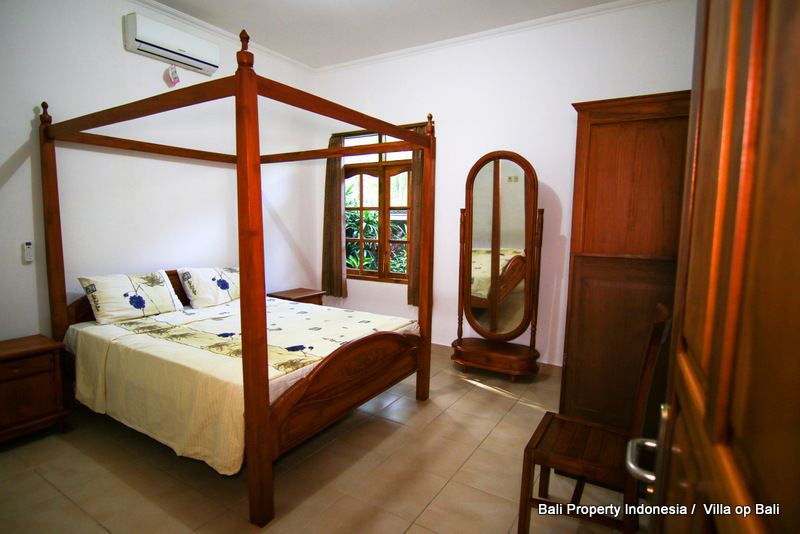 - Furniture with high-quality chairs, beds, sofas and tables. 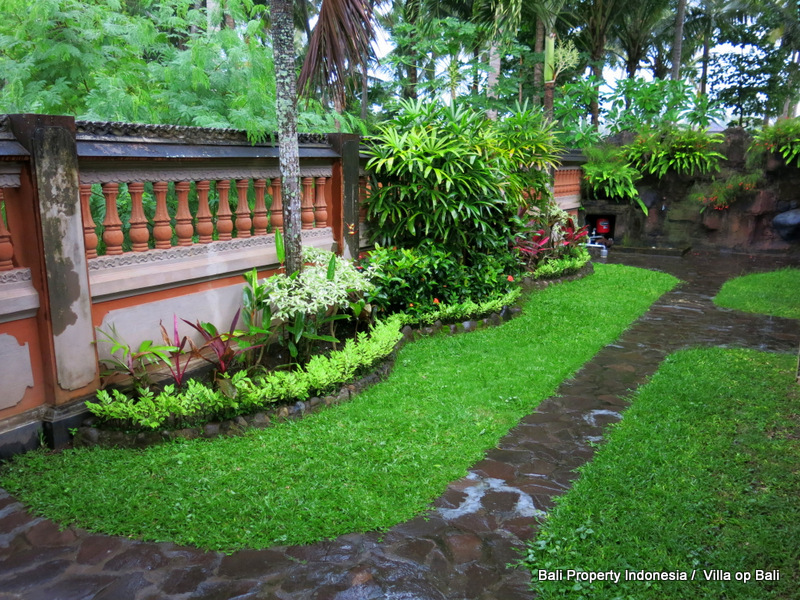 - A lovely garden with many plants, palms and flowers. 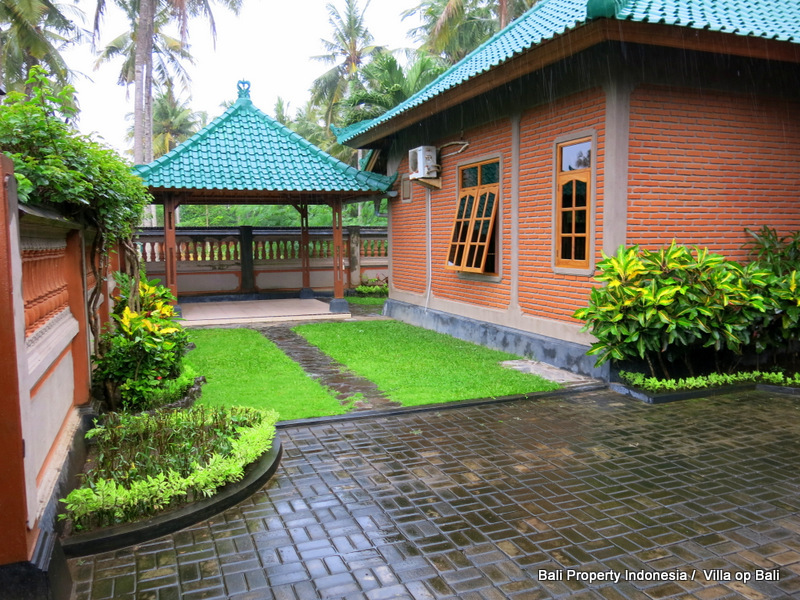 - Fully offered for sale with rental permit.